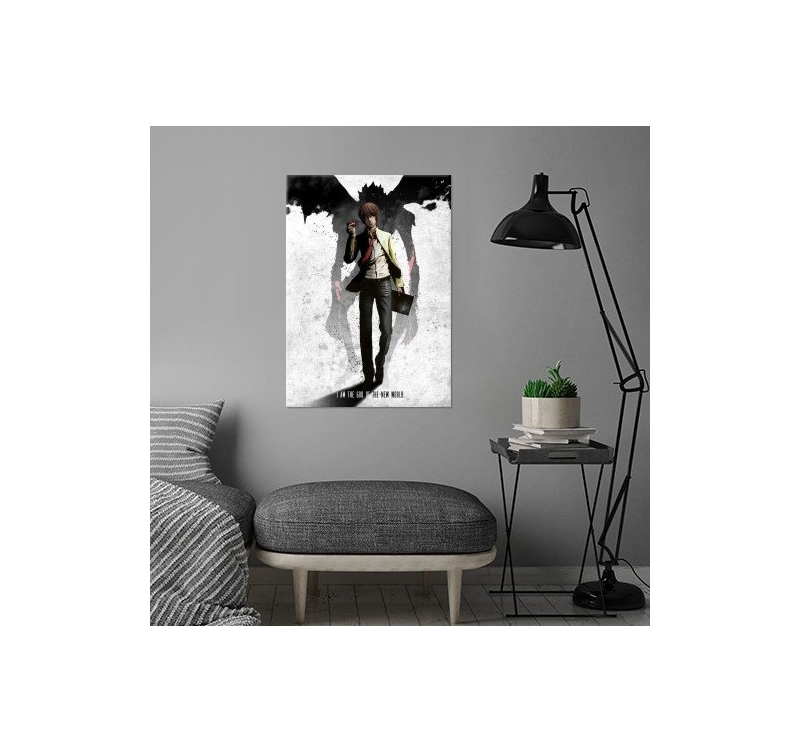 Death Note in metal manga poster for your decoration ! 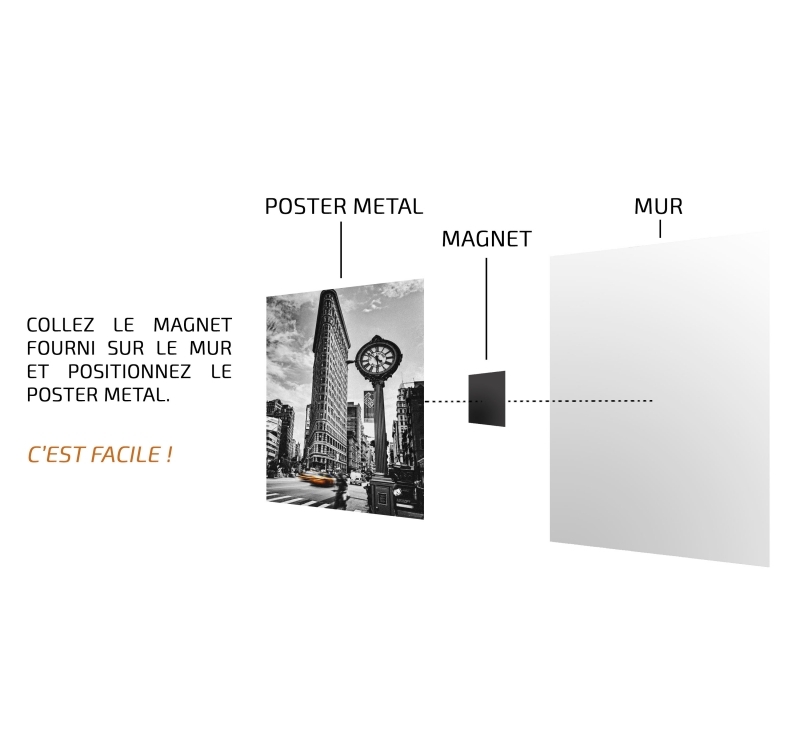 The dimensions of this giant metal poster are 48 x 67.5 cm. 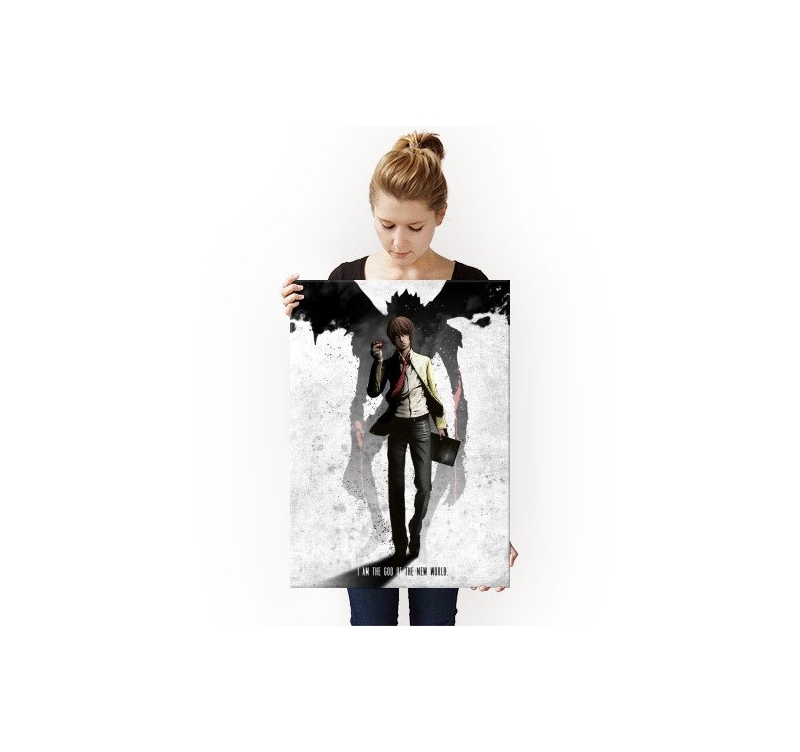 Completely free shipping for this manga metal poster in Metropolitan France and Belgium. 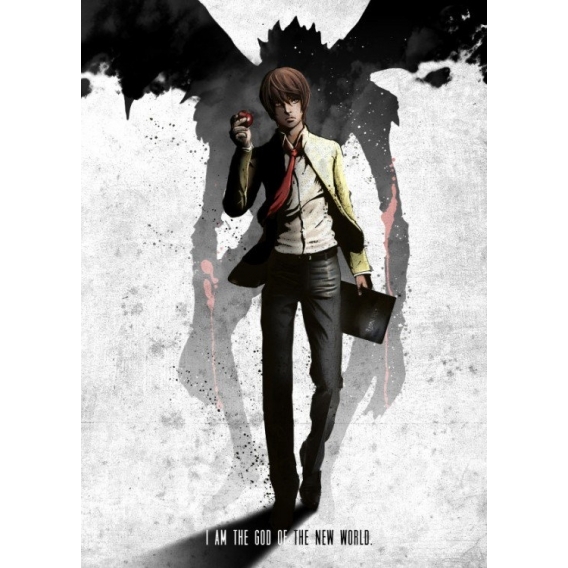 Death Note is a famous Japanese manga featuring a student who discovers a magic book with deadly powers ... 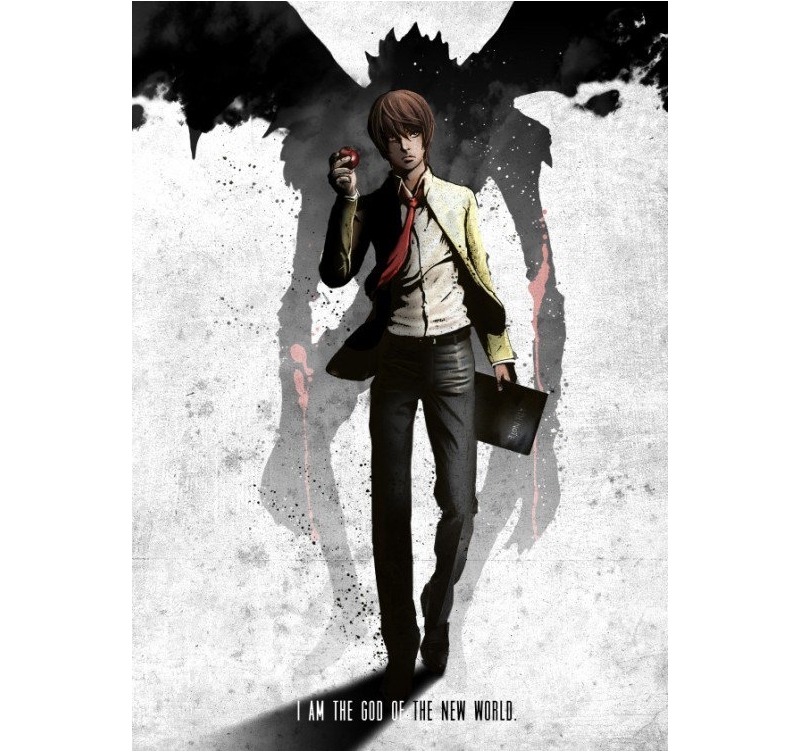 This metal poster includes all the codes of the manga and allows you to have a unique metal poster of the series including the main character, the demon and the famous magic book. Our artist has put forward the atmosphere of the manga through this wall poster and including a beautiful realization of the demon that can be seen on the bottom of the frame. 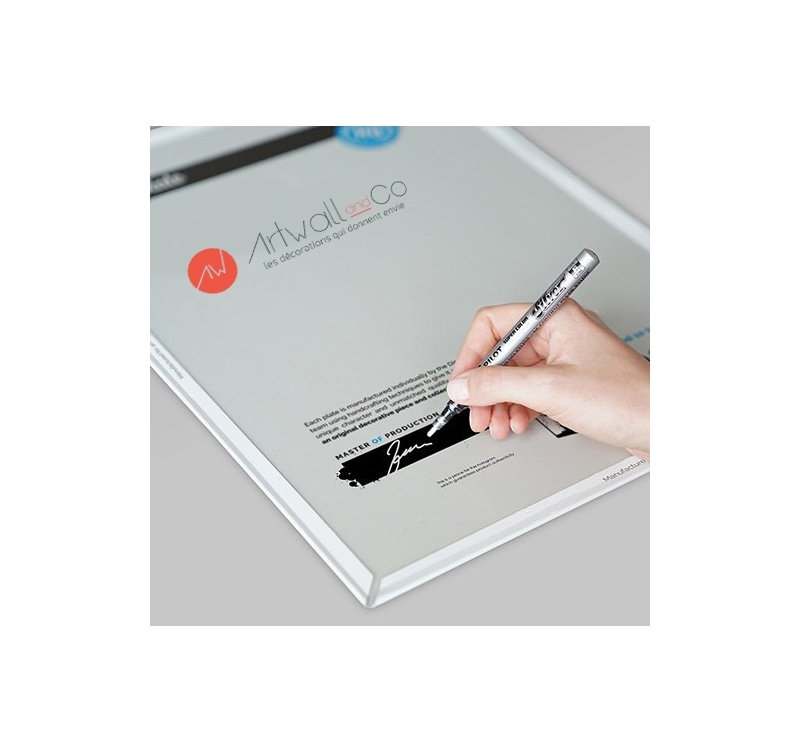 With a hologram and the signature of our workshop manager on the back of the poster, this metal frame is authenticated to have a collector's item for fans around the world. Any purchase of this collector's poster allows you to directly support the artist who created it.